A 61-year-old man has been arrested in connection with the shooting of a teenage boy in Southampton. 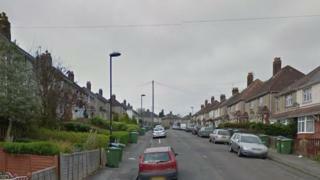 The 17-year-old was shot in his legs and ankles outside a home in Bluebell Road at about 22:15 GMT on Monday. He remains in hospital receiving treatment for his injuries. The arrested man is in custody after being held on suspicion of perverting the course of justice and being concerned in the supply of Class B drugs. Police said they were treating the attack as an isolated incident.